This store is located on S Orlando Dr, south of E Lake Mary Blvd. The manager of this store is Len Doski. Amazing service. Was greeted with amazing smile. Reached a great deal and left satisfied. Good cars and great staff. They went above and beyond to get me in a car that I have been wanting. Good quality used cars. 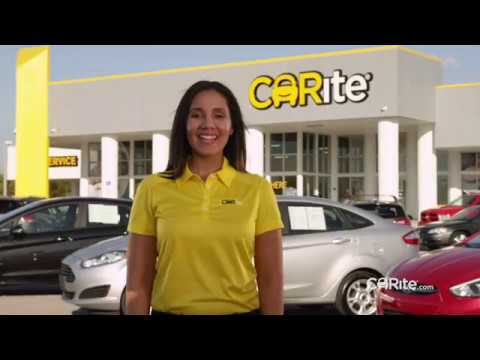 jr. was very helpful my entire Carite experience was wonderful. Dealing with Junior was a pleasure. He made the experience exceed my expectations. From calling before we got there to actually driving off the lot. We knew he would be the one to take good care of us. This is my first car buying experience - I came here because of the agreement with Capitol One but I loved how relaxed it was here and they gave us plenty of time to explore and find the car that I like. There was no pressure and everyone answered our questions even when we threw out numbers they were able to answer the questions. Thank you for a great experience. So I bought my first car at Carite and I must say the experience was great! I worked with Aurelio (Junior) and he did everything in his power to make it a stress less and a comfortable process. Very pleased!! Hello my name is Jhirvar Braxton, and I recently purchased 2010 Camaro SS from CARite. I would like to give thanks to Aurelio Parra and team for all the excellent effort being provided for my 2010 Camaro SS. Excellent, Thanks.